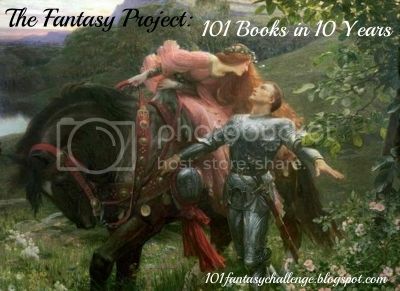 As you can guess from my blog, I love reading books! I'm doing this just for fun, to share my love for books, but I'll always write an honest review for every book I read, it doesn't matter if it's a book I bought myself, a book I borrowed or a book that was sent to me from the publisher or the author. I read & love books from all genres & for all ages! I also love participating in reading challenges & read-a-thons, too! 5 - Amazing book & I loved it! 4.5 - Great book & I loved it! 4 - Good book & I loved it! 3.5 - I liked it a lot! 3 - I liked it! 2.5 - Ok book, but nothing special! 2 - Not a bad book, but not a good one! 1.5 - I didn't like it! 1 - I hated it or I couldn't finish it! the other, that you can boast about it! New York Times bestselling author Susan Mallery brings you a heartwarming tale for the holidays! The unrelenting cheer in Fool’s Gold, California, is bringing out the humbug in dancer Evie Stryker. She learned early on that Christmas miracles don’t happen, at least not for her. And this year seems like no exception. An injury has forced her to return to the family fold, no matter that they’re estranged. She won’t add to the awkward scenario by being seduced by the bad-boy charms of her brother’s best friend, the last man she should ever want to date. Even when she’s recruited to stage the Fool’s Gold winter festival, she vows to do as promised, then move forward with her life anywhere but here. As was the case with the other Fool's Gold novels, I enjoyed it a lot. After meeting both Evie & Dante in the previous novels, I was looking forward to reading their story. I already liked a lot Dante as a character, and of course I wanted him to have his HEA, and I was hoping it will be with Evie, and yeah, they were perfect for each other. The chemistry & the romance between them was great, and so fun & yummy & sweet, so I really enjoyed reading about it. Of course there are the problems they needed to overcome and all that, but it was really fun book, and perfect for the holidays. And, yeah, the title A Fool's Gold Christmas was perfect, because it wasn't only about the romance between Dante & Evie, but also about how everyone in Fool's Gold celebrates Christmas. 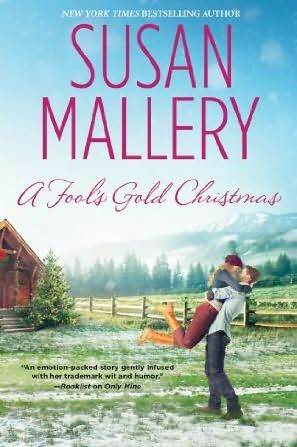 A Fool's Gold Christmas is another good addition to the Fool's Gold series, that you don't want to miss, and a perfect read for the winter holidays, so I recommend it a lot! Top 5 Sundays: 2013 Sequels I'm Dying to Read! 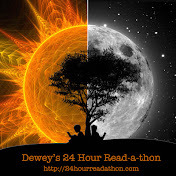 2012 Spooktacular Paranormal Reading Challenge! Top 5 Sundays: Favorite On-Going TV Series! Review Copy Wipeout: Sign Up! Indie Read-A-Thon: Start, Updates & Wrap Up! "Stories are like spiders, with all they long legs, and stories are like spiderwebs, which man gets himself all tangled up in but which look so pretty when you see them under a leaf in the morning dew, and in the elegant way that they connect to one another, each to each."